On Friday, we were left with a very nice savory shortcrust pastry wrapped and resting in the fridge, today, we’ll use it to top this fine and tasty chicken pie. 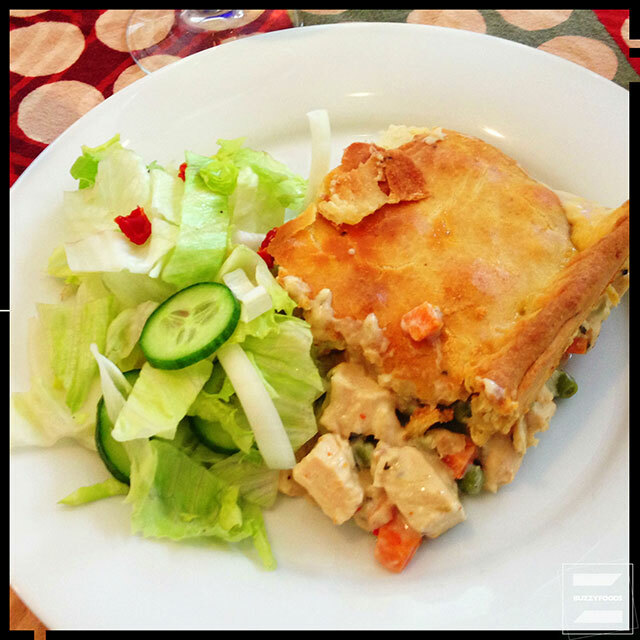 But first, a word about the pie: the basic recipe is simplicity itself, cooked chicken, veggies, a can of soup, and some cream cheese baked under a bit of pastry. Our pie was a weekend dinner for house guests, so I used that slightly extravagant shortcrust made with butter and egg, and marinated my chicken overnight before roasting. Don’t get me wrong, the chicken marinade is fantastic, and the crust (as I’ve noted) is fine and tasty; but feel free to buy some rotisserie chicken from the market and/or use your preferred pie crust recipe – or packaged pie crust product – if you like; your pie will still be a welcome dinner on a cool almost-autumn evening. And, thanks to the nice folk at Better Homes and Gardens who provided the chicken pie recipe I adapted, just a wee, tiny bit. Note: no buttermilk? No problem! Simply add 1 tablespoon of fresh lemon juice or white vinegar to a measure for each cup of ‘buttermilk’ you need, then fill to the mark with plain milk to make one (or two) cups, give the mix a stir, then let rest for five minutes. You now have a fine buttermilk substitute. If you’re like me, you’ve made your crust the day before and have it wrapped and resting in the fridge, so why not do the same with your chicken? My market had a buy 1, get 1 free deal going on, so I bought two whole split breasts and marinated and roasted them all; but I really only needed two of the breast halves to give me the three cups of cubed, cooked chicken needed for the pie, so I now have extra chicken stashed in the fridge for another pie, or mebbe for some chicken salad. 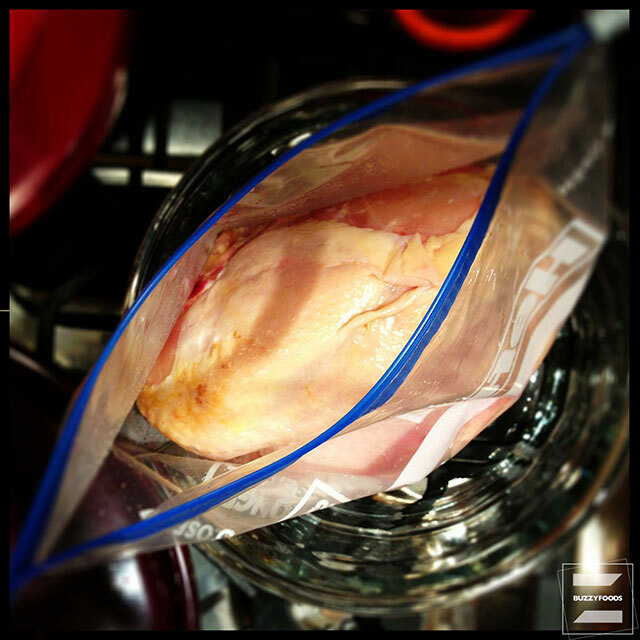 Stir together the marinade ingredients, then pour it over the chicken breast halves in a gallon-sized zipper bag set into a large bowl (to catch any drips). 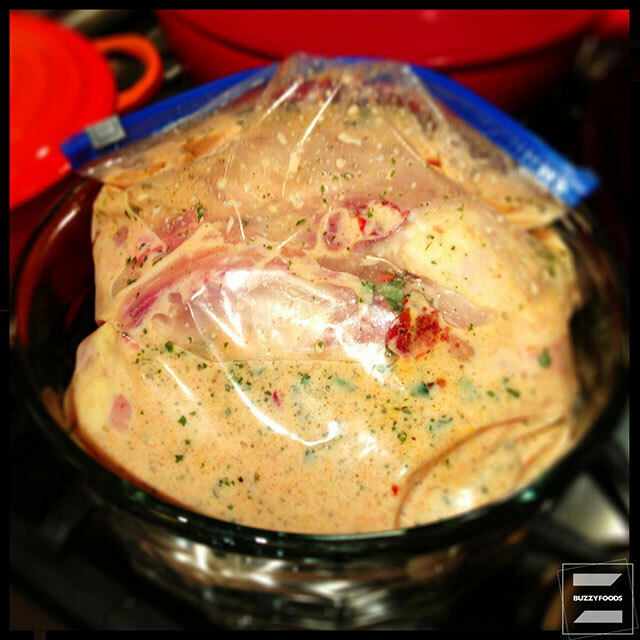 Close the bag, squeeze the marinade around the chicken, then toss it all in the fridge for at least four hours or, more better (as always), overnight, flipping the bag when you think to. 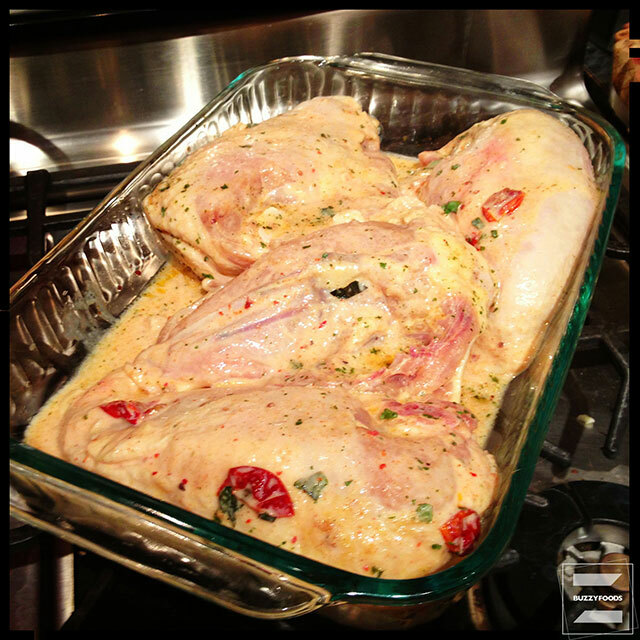 When ready to cook, heat your oven to 425º, remove the chicken from the marinade – shaking it a bit to get rid rid of most of the excess. If you’ve added the chopped tomatoes and onion, feel free to strain them out of the marinade and add to a 13×9 baking pan along with the chicken. 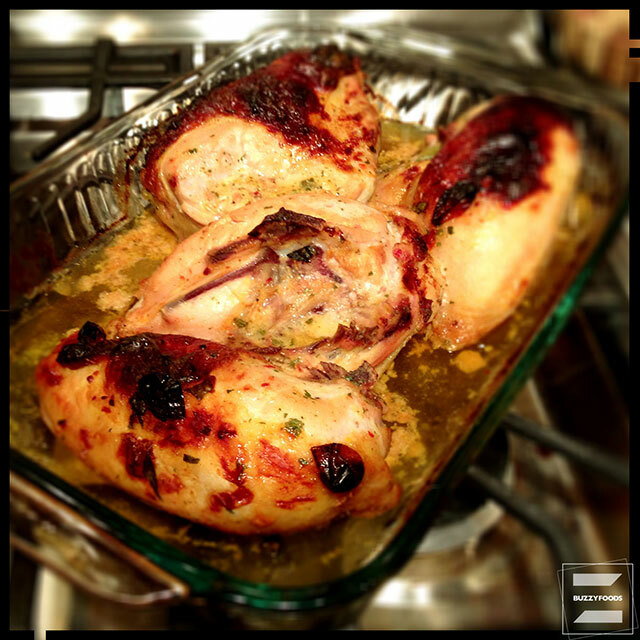 Bake, uncovered, for 45 minutes, or until the chicken is cooked through and the skin nicely browned. One of the big advantages of marinating the chicken – aside from the nice boost of flavor you’ll get – is that your baked chicken may indeed be blackened a bit and a bit crispity on the outside, but the meat itself will be moist and tender. 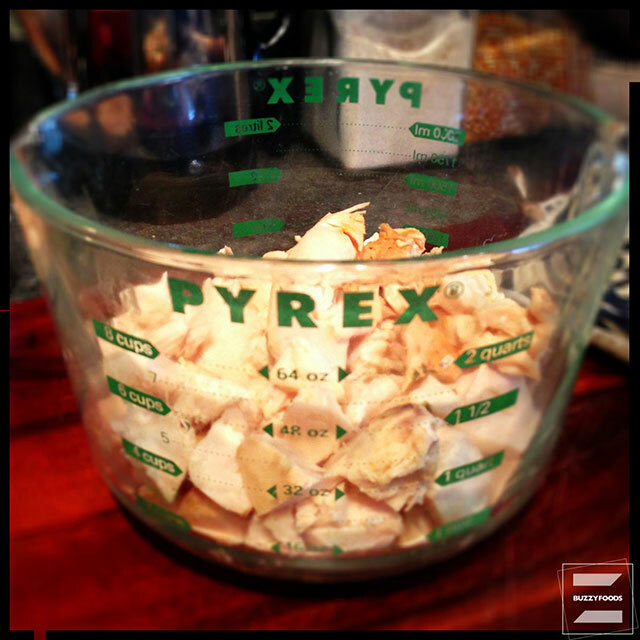 Allow the chicken to cool, then discard the skin, bone, and dice. We are finally ready to make our pie! Heat your oven to 400º and take the pastry you’ve made (or bought) out of the fridge to let it warm up a bit before rolling out. 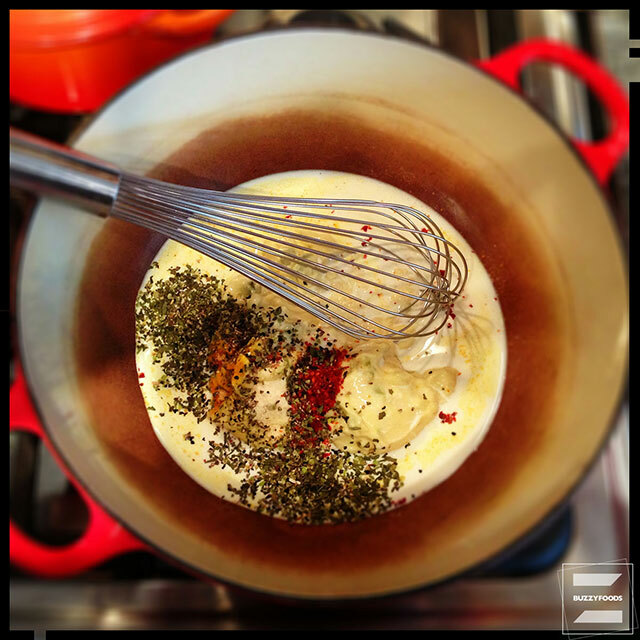 Stir together the soup, half and half, seasonings, the stout or sherry in a large pot over medium-high heat. Add the chicken and veggies, then heat to boiling, stirring often. 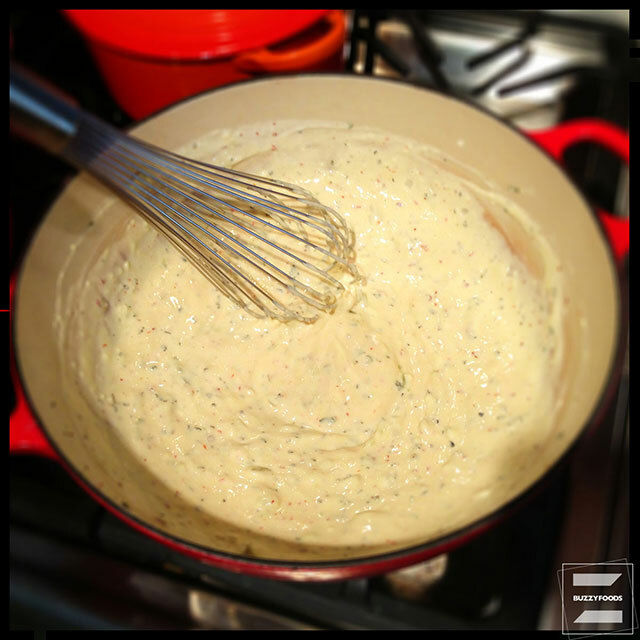 Add the cream cheese and stir until it has melted into the sauce. Remove from the heat and cover to keep warm until you are ready to bake. 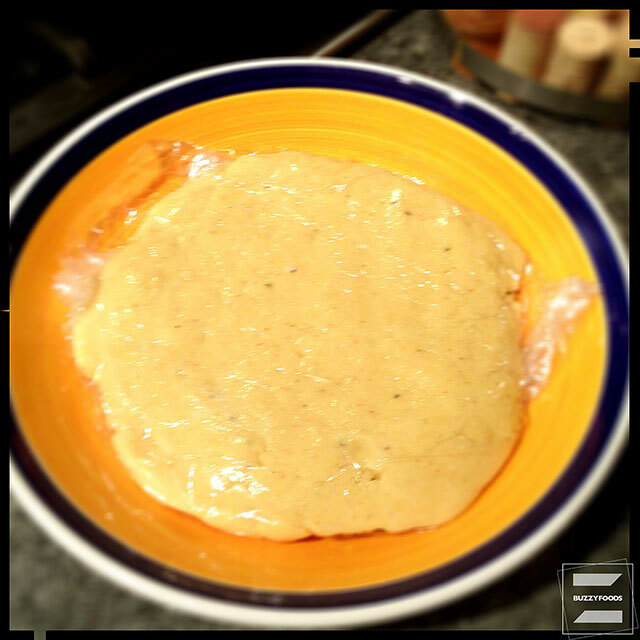 Roll out your prepared (or bought) pastry into a large rectangle – if you recall Friday’s post, waxed paper works a treat for roll out the dough and transferring it to the pie dish. 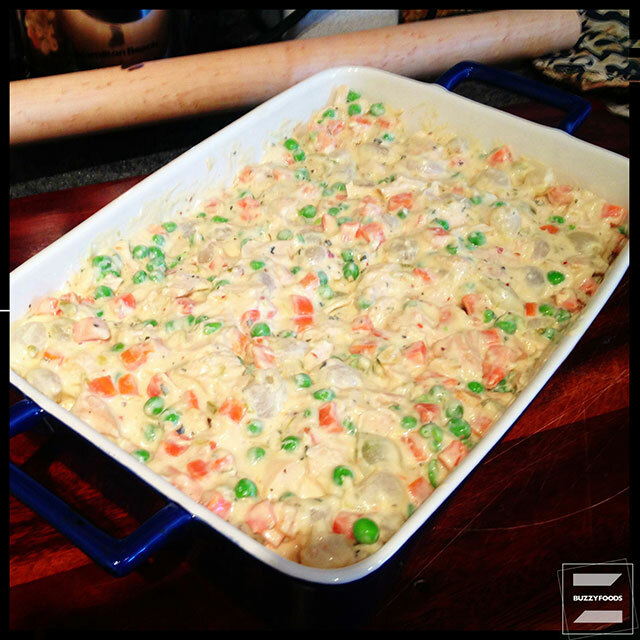 Turn your warm chicken and veggie mixture into an ungreased baking pan – the BH&G folk specify 3 quarts, but my 2-1/2 quart held it all well, with a foil-lined rimmed baking sheet underneath to catch any drips. 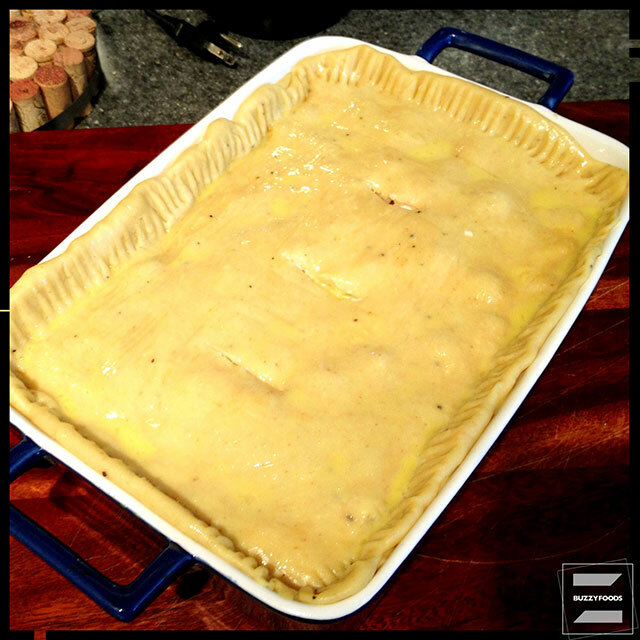 Transfer your rolled out pastry on top of the chicken filling, tucking any overlapping pastry under so that it fits evenly to the edge of the baking pan. 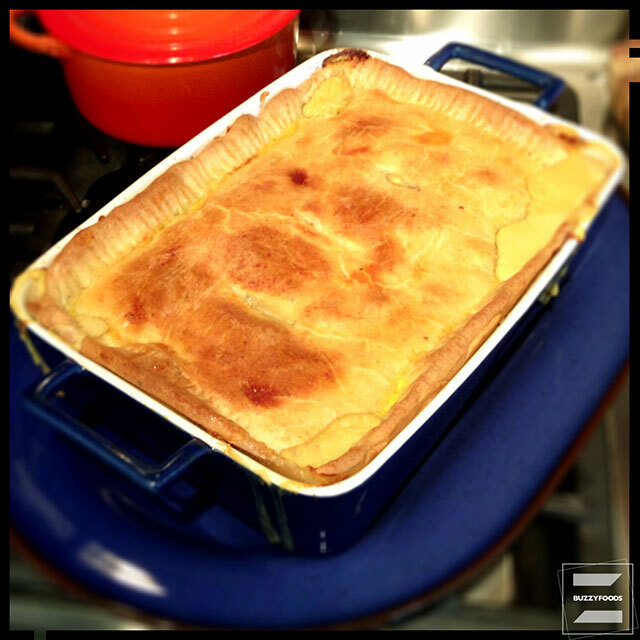 Press the pastry edges with a fork to seal, then brush with the egg and water wash.
Cut three slits in the top crust to vent, then place your pie on that foil-lined rimmed baking pan – trust me, this thing’s gonna leak – and bake, uncovered, for 35 to 40 minutes. Remove from the oven and let rest for about a half hour before serving – don’t fret, your pie will still be steaming hot and oh! so tasty. And even though I made my own pastry and marinade, and baked the chicken; all those steps could be done well in advance of making the pie when I had the chance to do them. The savory shortcrust will be fine in the fridge for a couple of days; and you can marinate, bake, and cube the chicken and stash that in the freezer well in advance of making your pie, so with a little planning, you can have this fine pie, home made and filled to suit your tastes, for not a lot more effort than buying and baking one of those frozen things. 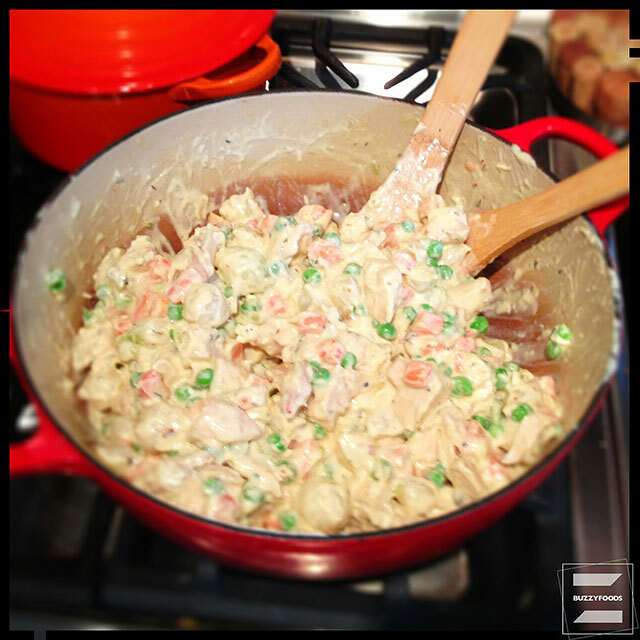 This entry was posted in Chicken/Turkey/Duck and tagged Chicken, Chicken Pie, Chicken Pot Pie, cream cheese, Pearl Onions, peas, Pot Pie. Bookmark the permalink.